I am deeply saddened to learn of the murder of David Kato. In Uganda, David showed tremendous courage in speaking out against hate. He was a powerful advocate for fairness and freedom. The United States mourns his murder, and we recommit ourselves to David’s work. At home and around the world, LGBT persons continue to be subjected to unconscionable bullying, discrimination, and hate. 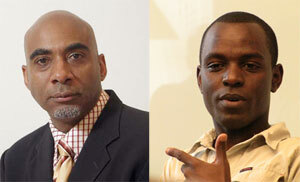 In the weeks preceding David Kato’s murder in Uganda, five members of the LGBT community in Honduras were also murdered. It is essential that the Governments of Uganda and Honduras investigate these killings and hold the perpetrators accountable. LGBT rights are not special rights; they are human rights. 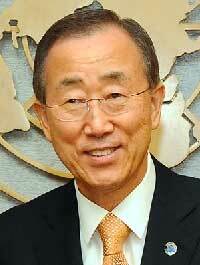 My Administration will continue to strongly support human rights and assistance work on behalf of LGBT persons abroad. We do this because we recognize the threat faced by leaders like David Kato, and we share their commitment to advancing freedom, fairness, and equality for all. (Kampala) -­ Police in Uganda should urgently and impartially investigate the killing of the prominent human rights activist David Kato, Human Rights Watch said today. 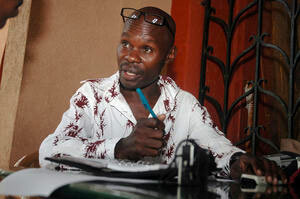 Kato had dedicated his life to fighting for the rights of lesbians, gays, bisexual, and transgender persons (LGBT) in Uganda, facing threats and risks to his personal safety. The government should ensure that members of Uganda’s LGBT community have adequate protection from violence and take prompt action against all threats or hate speech likely to incite violence, discrimination, or hostility toward them, Human Rights Watch said.